While on the “Ones To Watch” stage at the #BCTECHSummit, we’ve launching our new HeartPress contest giveaway! Are you at a loss of how to gain new sponsorships and build rewarding partnerships for your charity? HeartPress and AFP Vancouver Island presents “Sponsorships: What’s Next? Engage Corporate Donors Beyond Traditional Sponsorship and Events” on Thursday, March 7 from 8:30 – 11:30 AM at Fort Tectoria. We’re celebrating the start of 2019 with a look back at how North Americans gave in 2018. Throughout the year, people have been influencing the way businesses look at corporate giving. 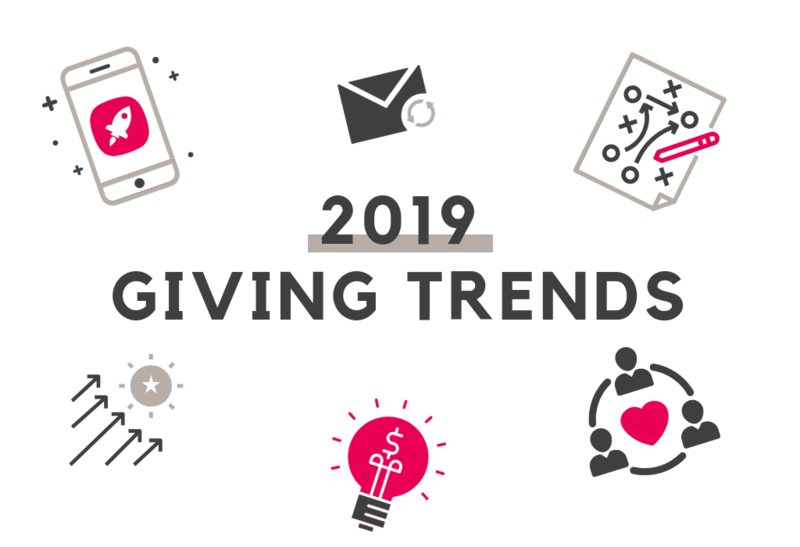 With a preference on ways to donate, types of volunteer opportunities to participate in, and the kind of information that encourages ongoing giving, the trend of giving has shifted for 2019. Everyone wants to be happy at their job, and most business owners strive to provide an enjoyable spot to spend roughly half of every week. 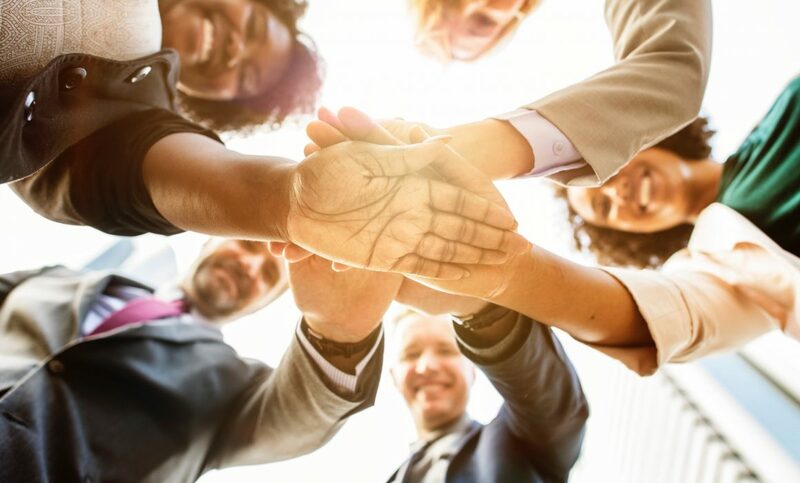 With the recent publication of Business Insider’s Companies With the Happiest Employees, we set out to discover whether a factor close to our hearts — corporate social responsibility — might play a role in the employee happiness seen in the halls of these 25 companies. 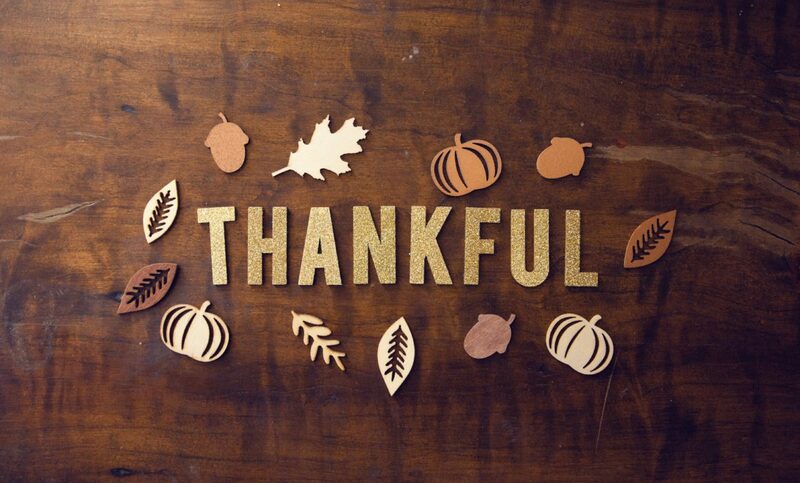 Every person should have the opportunity to spend Thanksgiving surrounded by loved ones and food. This Thanksgiving, we’re highlighting community kitchens in Vancouver and Victoria. Find organizations that are hosting community meals this weekend, and non-profits that advocate for food security. It’s September 21st, which means it’s the International Day of Peace! This day was established in 1981 by the United Nations to strengthen ideals of peace across the world. 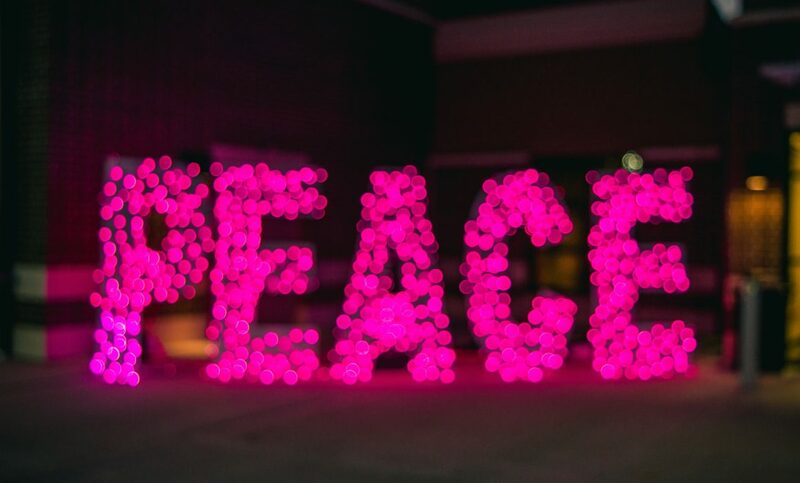 To celebrate Peace Day, we’re sharing our favourite non-profit organizations in BC that advocate for peace. If you’re thinking about heading to Vancouver Start Up Week, make sure to mark our event on your calendar. 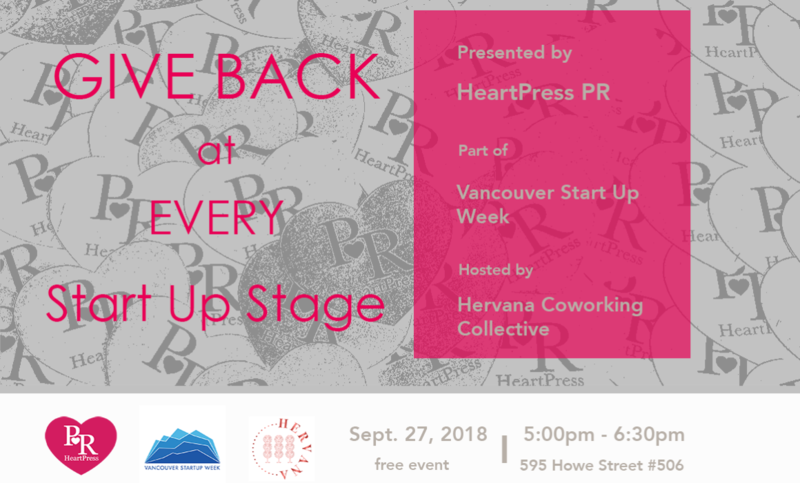 HeartPress PR presents “GIVE BACK at Every Start Up Stage” on Thursday September 27 from 5:00 – 6:30pm at Hervana Coworking Collective. 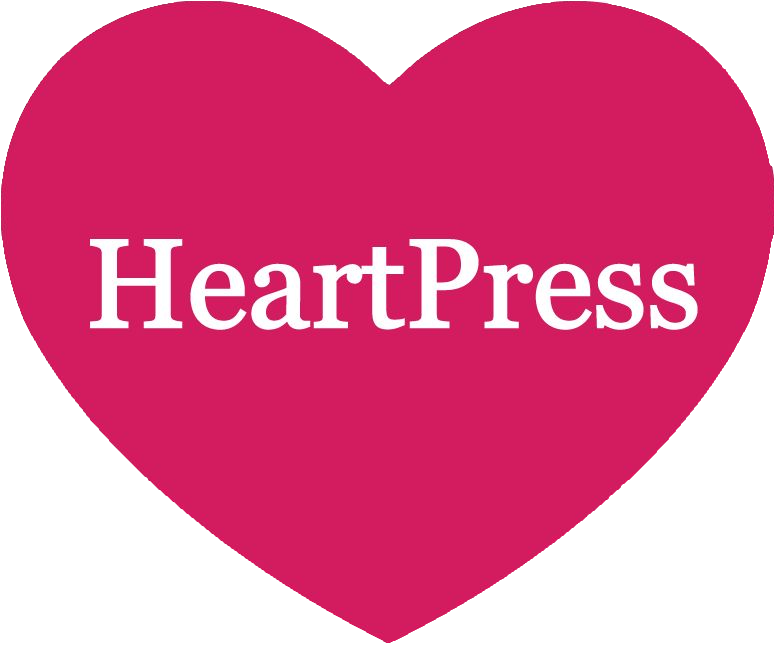 We’re an all-female team at HeartPress and work with several non-profits that advocate for women’s causes. International Women’s Day was in March, but we’re always celebrating women’s causes at HeartPress PR. 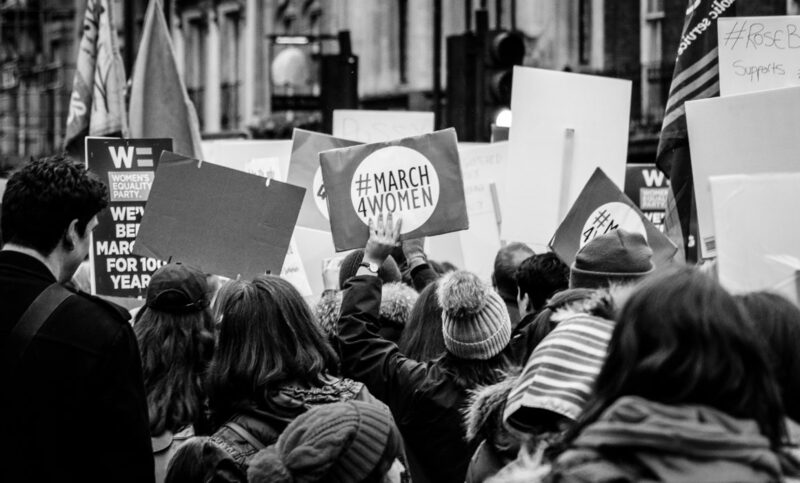 With movements like Me Too in the front of everyone’s minds, we thought there was no better time than now to highlight some of these incredible organizations. What is World Youth Skills Day? To raise awareness of the importance of investing in youth skills development, the UN designated July 15th as World Youth Skills Day. 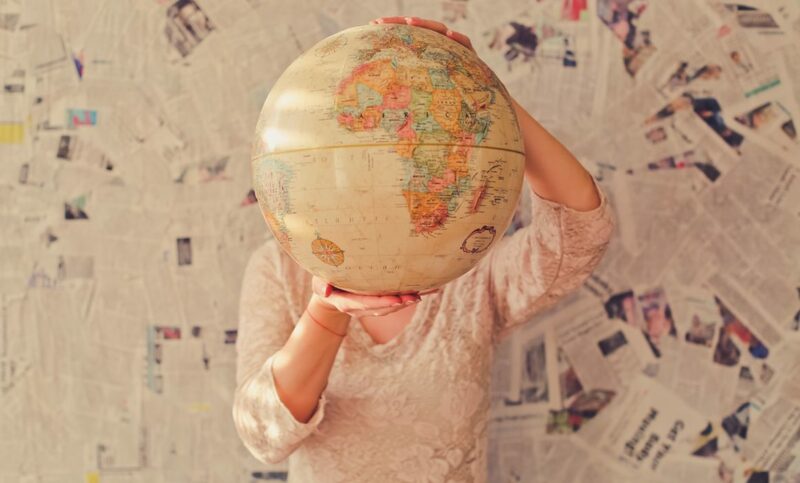 Ever wonder how to travel and give back at the same time? Well we sure have, and that’s why we’re looking into Volunteer Travelling!